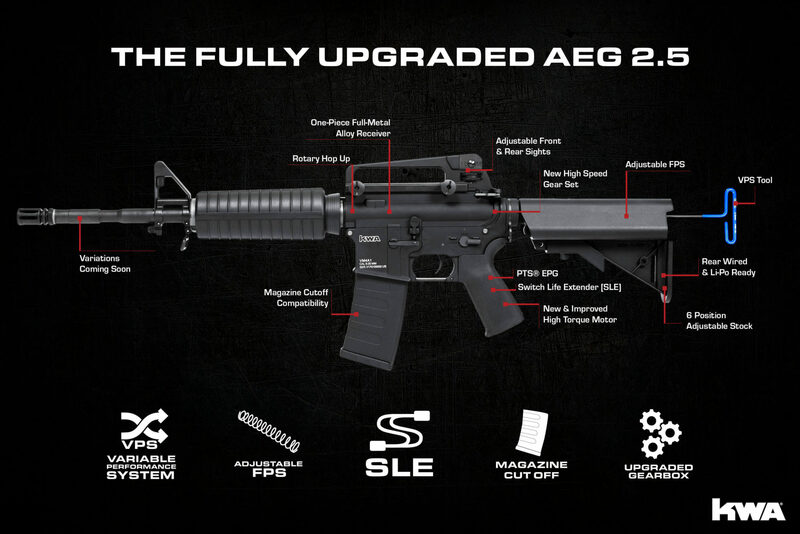 The latest addition to the AEG family of products is the new AEG 2.5. Set to be available Spring 2017, the AEG 2.5 boasts KWA’s new Variable Performance System (VPS) which takes the standard AEG to a new level of efficiency. Highlighted by a Switch Life Extender to minimize the wear and tear on trigger contacts, the AEG 2.5 provides Milsim & Field players the ultimate AEG rifle to outlast the competition. 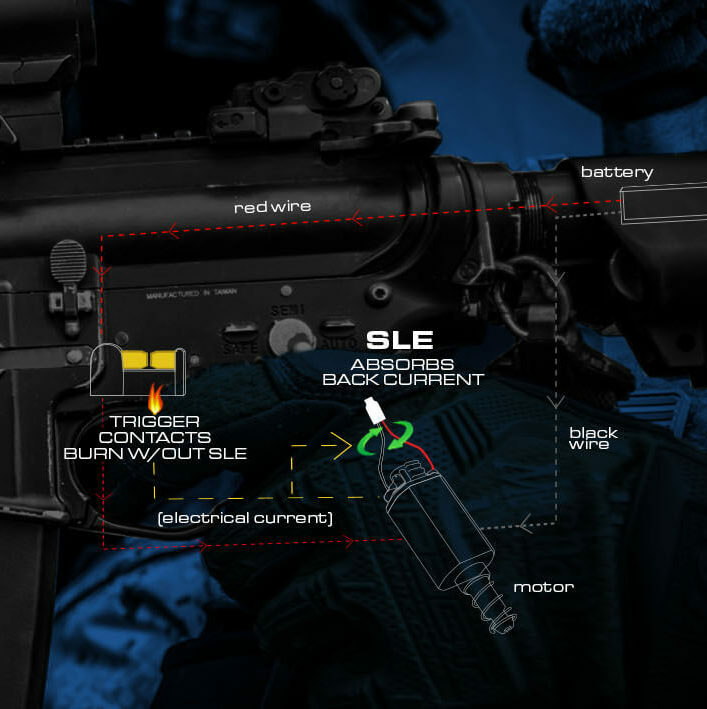 Additional new features include magazine cutoff compatibility combined with adjustable FPS for users to customize their KWA AEG rifle to their own specifications.